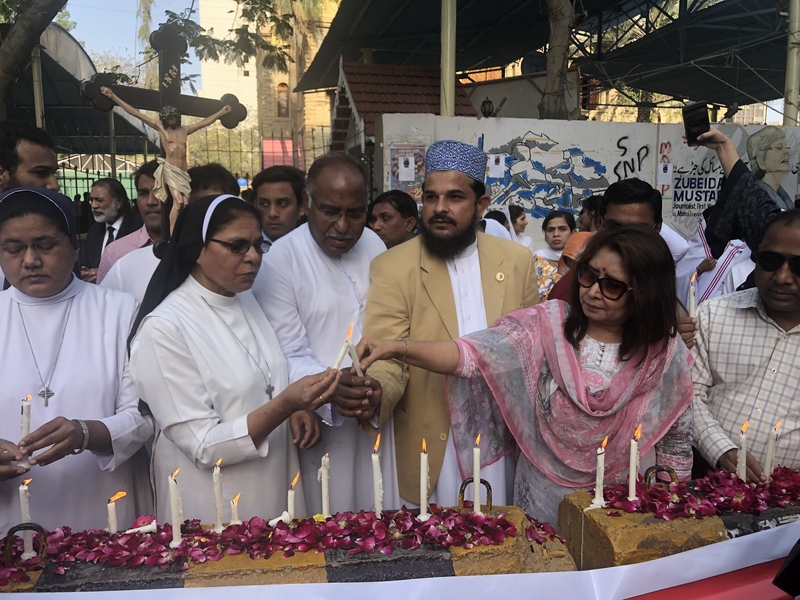 KARACHI -- Pakistani Hindus Sunday (August 26) observed the annual festival of Raksha Bandhan, commonly known as Rakhi, to celebrate the bond between brother and sister. Raksha Bandhan is celebrated on the full moon of the month of Savan, also known as Shravana, of the Hindu lunisolar calendar. The month typically coincides with August of the Gregorian calendar. As part of the day's celebrations, sisters tie a rakhi -- decorative threads or woven bracelets -- around the wrist of their brothers in order to pray for their prosperity, health and safety. After the rakhi ceremony and pooja, a prayer ritual, the brothers give their sisters presents. Married sisters visit their brothers' homes, which are decorated for their arrival and in expectation of the rakhi ceremony. The occasion becomes a major family gathering. This year, girls, young women and even the elderly practicing Hindu religious beliefs thronged the various temples in the country to buy rakhis for the brotherhood festival. 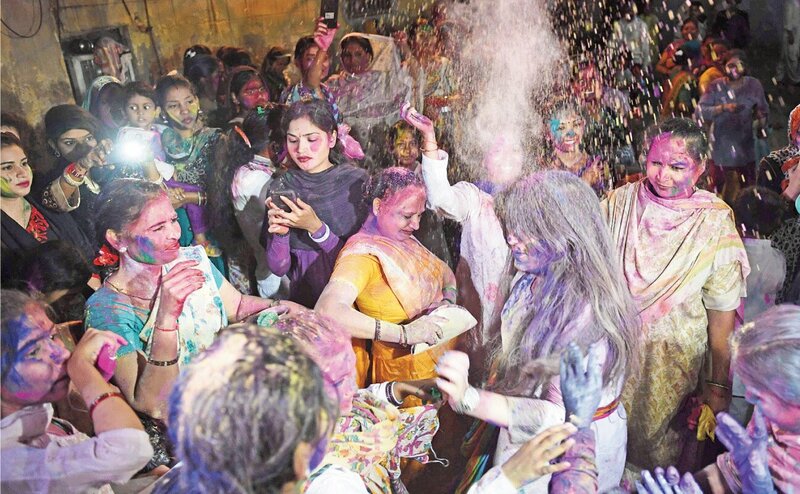 Inside the Shri Swaminarayan Mandir, a temple situated on Muhammad Ali Jinnah Road in Karachi, a large number of makeshift stalls were set up to sell stylish rakhi threads in various colours and designs. Their prices varied between Rs. 100-Rs. 500 ($0.81-$4), with the more expensive rakhis imported from the Hyderabad Deccan area of India. A large number of Hindu women had purchased rakhis for their brothers in the past few days, Manesh Anand, a Hindu vendor selling rakhis in the temple (mandir), said. "But on the occasion of Raksha Bandhan, August 26, sales were [even higher]," Anand told Pakistan Forward. Rakhi has turned into a symbol of strong human relationships that extend beyond religious and cultural differences, said Sanjesh Dhanja, president of the Pakistan Hindu Seva Welfare Trust, a Karachi-based Hindu group. The rakhi tradition has become a symbol of mutual respect. "Hindu women also fasten rakhis to members of other faiths whom they consider as brothers," Dhanja told Pakistan Forward. "[Muslims, Christians] come to attend our religious gatherings, and we attend their religious gatherings." 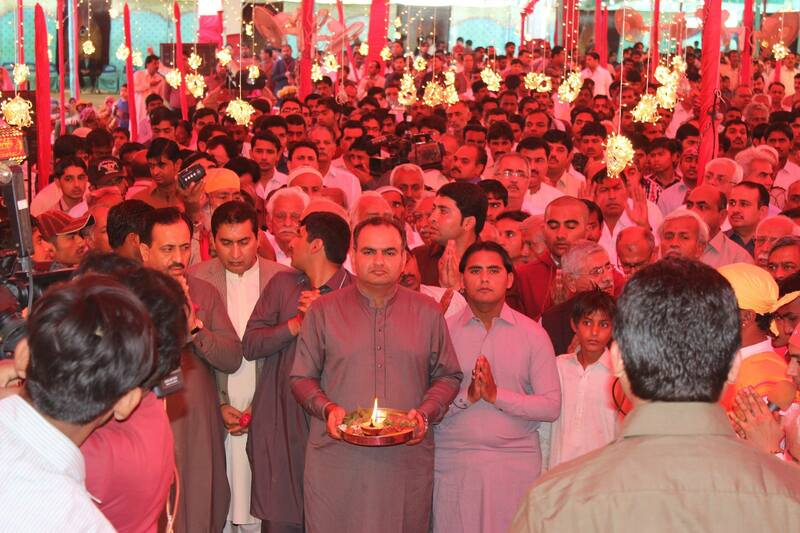 The festival is helping to promote inter-faith harmony in the country, he said. Neha Kumar, a 22-year old Hindu college student in Karachi, purchased a number of rakhis alongside her friends. "It is a joyful day for us," Kumar told Pakistan Forward. "I have not only two Hindu brothers but also five Muslim [friends] whom I consider my brothers." The festival of Sant Nenu Ram represents an example of interfaith harmony and religious coexistence for local residents and peace activists.